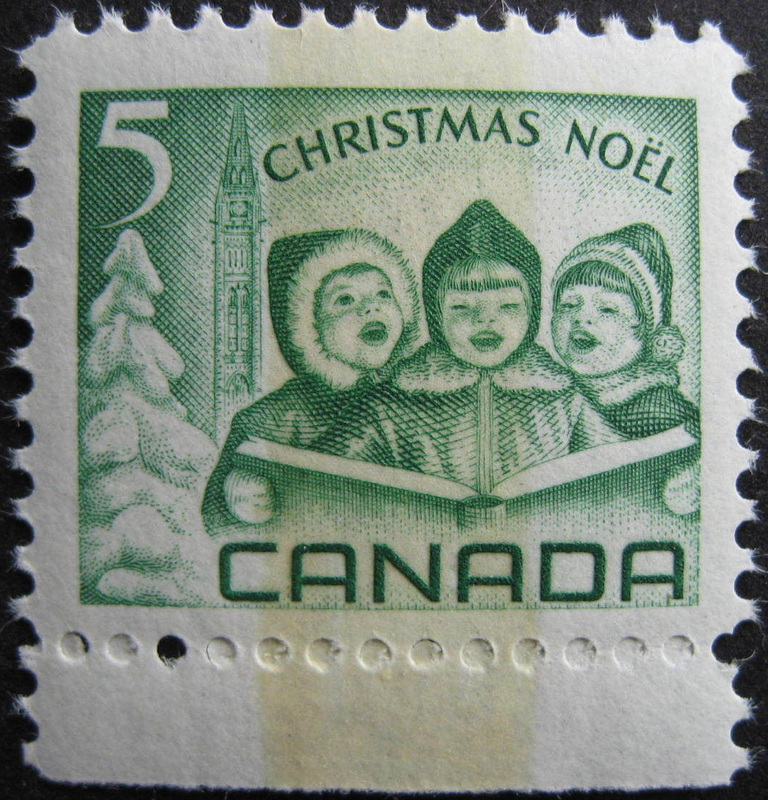 The value of a Children singing Carols - 5 cents 1967 stamp depends on several factors such as quality and wear, supply and demand, rarity, finish and more. Values in the section are based on the market, trends, auctions and recognized books, publications and catalogs. This section also includes information on errors and varieties and characteristics. Familiar sights and sounds of a traditional Christmas are brought to mind by the design chosen for Canada's Centennial year Christmas stamps in denominations of 5 cents and 3 cents. The artist has pictured a scene wherein carols and Christmas music are sung by the happy voices of children, all three of whom are suitably clothed for a season when a large part of Canada is under a blanket of snow. The snow-laden evergreen conjures a vision of the traditional yule tree, and towering in the distance is the nation's Peace Tower, a dominant part of the Parliament Buildings in Ottawa. The association of children with the Peace Tower, itself a symbol of Canada's aspirations, vividly recalls the country's greatest children's party held in the shadow of the Parliament Buildings on our nation's 100th Birthday, July 1, 1967. 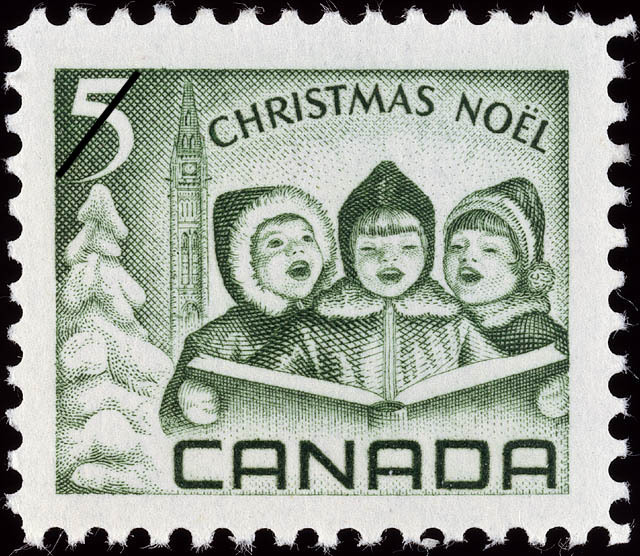 The year 1967 is the 4th consecutive occasion of which special stamps have been prepared by the Canada Post Office for use on Christmas mailings. Their release in October was planned to permit use on early overseas mailings.